Located in Corundum creek 6 km West of Mt Painter. 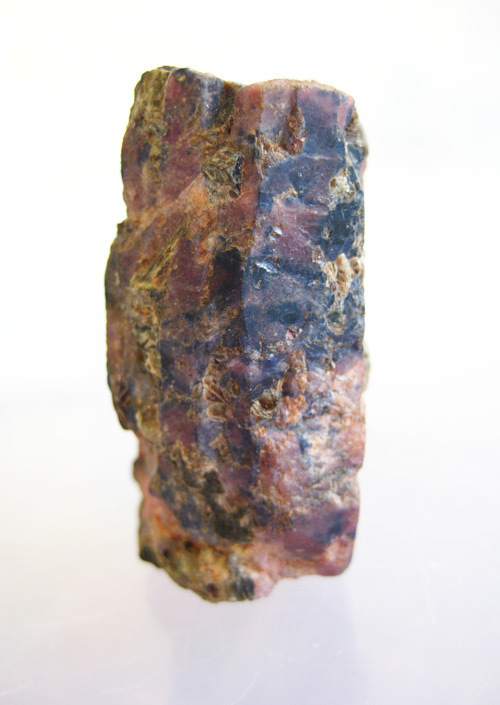 Corundum was discovered by WB Greenwood in 1906 in an unnamed creek, later named Corundum Creek, ‘4 miles west of Mount Painter and 2 miles east of Mount Pitts’ (Brown, 1908; Fig. 1). In 1909 Greenwood revisited the area on behalf of the Mount Painter Corundum and Gem Syndicate of Adelaide, and in the course of prospecting, discovered other corundum-bearing outcrops to the west and SE of Mount Painter. 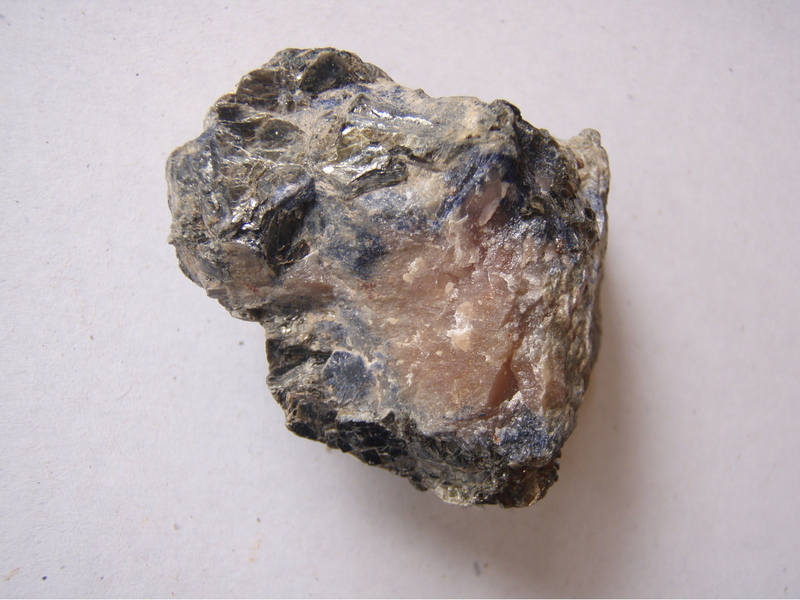 In 1910 a 1 t sample of corundum-bearing material was collected at the original discovery locality via a small adit, subsequently known as the Corundum Mine, for shipment to England for appraisal of its economic potential as a source of abrasives. The area was studied in detail by Ward (1913), who noted that the highest grade corundum deposit occurred at the Corundum Mine with lower grade deposits located on the NE side of Mount Painter and in the valley between Mount Painter and Mount Gee. probable Ordovician age which tend to follow the grain of the country rocks (Coats and Blissett, 1971, Blissett, 1973). Dwyer (2000), however, cast doubt on the sedimentary origin corundum bearing schists. She described a corundum schist associated with amphibolite dyke rocks in the East Painter district and, based on detailed geochemistry, suggested a hydrothermally-altered, ultramafic origin for these and other corundum-bearing schists in the district. abundant and the corundum subordinate. Monazite and apatite have been recorded. Fragments of gem-quality corundum were noted including clear blue sapphire, ruby and oriental emerald. Brown (1908) stated that the corundum is present over a width of nearly 1 km at creek level and could be traced 50 m up the hill side. In places corundum forms 10–25% of the rock but Ward (1913) concluded that the total amount of schist bearing corundum was not large and doubted whether an appreciable bulk of material averaging 5% corundum could be produced. Difficulty with grade control, lack of water and transport problems contributed to the down-grading of the Corundum Mine’s potential as a commercial supply of abrasives (Ward, 1913). The deposits have been a source of supply for mineral collectors. In 1981 the Corundum Mine was placed on the register of geological monuments by the Geological Society of Australia, SA Division, because of its scientifically interesting mineral assemblage (Giles and Johnson, 1981). Apart from the main Corundum Creek locality, corundum has been identified, and in some cases mapped out, at many locations in the Mount Painter district (GM Teale, Teale and Associates Pty Ltd, pers. comm., 2002; SB Hore, PIRSA, pers. comm., 2002). It also displays a variety of parageneses apart from its formation in meta-pelites as discussed above, from accessory mineralisation in Delamerian pegmatites crosscutting Neoproterozoic sediments, to an association in altered Mesoproterozoic mafics (GM Teale, Teale and Associates Pty Ltd, pers. comm., 2002) as also identified by Dwyer (2000). Brown, H.Y.L. (1908). South Australia. Department of Mines and Energy, Record of Mines, p 359.